If you&apos;re like me, when driving you choose the route that will get you to your destination the fastest. It becomes a game between you and your GPS, almost as if the estimated time of arrival you&apos;re given is more of a number to beat, and every ETA minute shaved off is a sweet victory (don&apos;t tell the insurance companies). Anyway, my point is we&apos;re always in a rush and not in the habit of stopping and smelling the rose and admittedly I fall guilty to this a lot. This summer has been a series of beating my ETAs and ignoring the roses. Everyday, twice a day, five days a week I&apos;m like the rest of Americans in a rush to get from home to work, then work to home. I&apos;m in routine with a locked schedule. You see, I&apos;m interning in Topeka for the summer with the tourism department, but I am living in Manhattan, which according to GPS the drive takes about 56 minutes (fastest route possible). Again, for the sake of my insurance company I will be keeping my actual driving time confidential. However, I will say my time is more than satisfactory. After all I have been practicing at it since my first day. Speaking of my first day since starting my internship, I have learned about amazing attractions our state has to offer. One of those attractions being the byways. My first introduction to the byways happened on my first day. Fanned out at my desk were our publications, and on top was Byways of Kansas. I picked it up, thumbed through it and some where on the unofficial summer bucket list stored in my mind I penciled in: travel a byway. Plenty of time has passed since that first day, and we&apos;re getting closer to the end of summer. Do you think I had made actual plans to tick that off the bucket list yet? Of course not. I was locked in to that routine. I kept telling myself I don&apos;t have the time. You can get to it tomorrow. Well, yesterday I had left work with every intention to speed out of Topeka and head home. I passed the signs that call people off I-70 and reroute themselves to a byway as I did all times before, but this time was different. With a spontaneous jerk of the wheel I had exited several exits too early and rerouted. I don’t know if it was the song playing, the reluctance of returning home where I knew my roommate hadn’t done her dishes yet, or the fresh sting of heartbreak, but I was headed on the Native Stone Scenic Byway. I knew from prior research that this particular route takes about one and a half hours to travel. 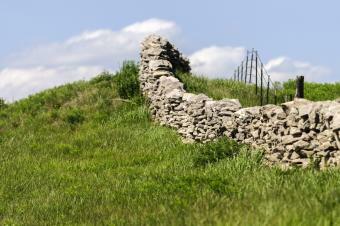 It features natural limestone formations and the flint hills. It would take me slightly south of I-70 and I would end up right outside of Manhattan. I was on a route that takes longer, demands slower driving speeds and I wouldn&apos;t be home until almost six. What had I done? What I had done was give myself a bit of happiness. I had stopped to smell the roses and enjoy the little things. I couldn&apos;t have asked for a more perfect day to have experienced the byway. It had just rained a bit, the sun was back out, and do I dare I say the hills were alive. Due to my car&apos;s malfunctioning air conditioning, I had my windows down, sunroof open and the scent of recent rain filled my car. Flowing past my windows were rolling hills and freshly quenched green grass. It felt like the film they play behind cars when making movies. The breath taking scenery kept me from even giving my ETA a thought. I even caught myself driving slower as I got closer to Manhattan, because I wasn&apos;t ready for the experience to end. I had played my favorite songs and sang along the entire ride. It was just me, John, Paul, Ringo, George and the slower paced road. I was there in the moment enjoying it all. It was a spontaneous adventure I will never forget. The Native Stone Scenic Byway drive reminded me of the importance to trade in the fast pace life for a relaxed, live in the moment life every now and then. I encourage everyone to give a byway experience a try. 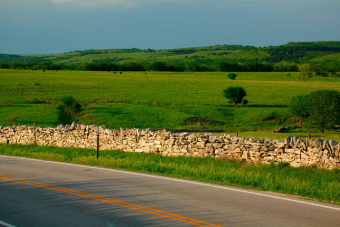 There are 12 Kansas byways to enjoy, and they all have different experiences to offer. 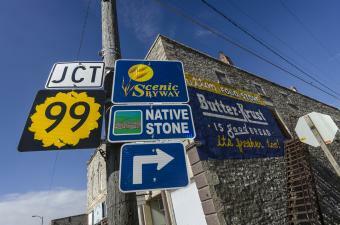 Check them out on KSByways.com webpage or request a byways guide. It&apos;s time to relax, hop on a byway, and enjoy life! 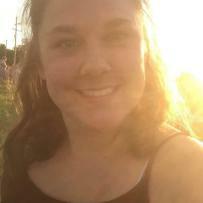 Emily is a senior at Kansas State University majoring in Mass Communications. For summer of 2018, Emily was apart of the tourism staff as an intern.